This book presents academically sound and evidence-based research on workplace humor, for managers and human resource personnel. It focuses on the nature and types of workplace humor, the psychology underlying it, relationship between ethnic and organizational cultures to humor, ... read full description below. This book presents academically sound and evidence-based research on workplace humor, for managers and human resource personnel. 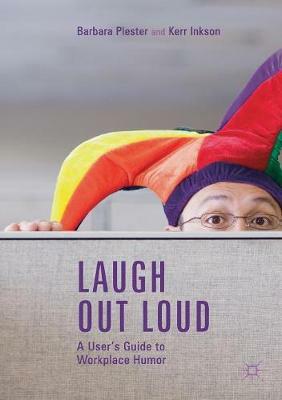 It focuses on the nature and types of workplace humor, the psychology underlying it, relationship between ethnic and organizational cultures to humor, the consequent need to take account of context in using humor, and the benefits and dangers of using humor. Through its use of case studies - real humour incidents from real workplaces - it utilises illustration to build understanding on workplace humour enabling readers to assess their personal humour profiles and take those into account in evaluating and possibly modifying their humour behaviour. The book represents a move away from sophisticated theorizing and extensive empirical research on the topic aimed at scholars of humor, and works that take an uncritical approach that views certain forms of humor as universally good. In doing so, it presents nuanced arguments that are accessible to a practitioner readership, and a general audience. This book presents academically sound and evidence-based research on workplace humour, for managers and human resource personnel. It focuses on the nature and types of workplace humour, the psychology underlying it, relationship between ethnic and organizational cultures to humour, the consequent need to take account of context in using humour, and the benefits and dangers of using humour. Barbara Plester has needed to hone her own sense of humor to cope with her noisy, zany family, friends and pets. Born and bred in New Zealand (a 'kiwi') she has researched humor and fun for the last 14 years. Such a research focus has elicited disbelief, ridicule but also intense interest at times. Based at the University of Auckland Business School for the past eleven years, Barbara has published academic papers in both humor and management journals, book chapters in edited volumes, and a complete book of her humor research in 2016 - The Complexity of Workplace Humour. She uses her humor research experiences in her teaching, highlighting the implications for workplace issues and organizational behavior. She has received two awards for excellence in teaching and was awarded `Senior Fellowship' of the UK-based Higher Education Academy (SFHEA) in 2018. Chairing the Equity Committee for her Faculty, Barbara has a keen interest in promoting tolerance and equity for all groups of people. Retaining her own sense of humor and fun at work and home she tries hard to constantly maintain her mantra of `laugh out loud!' Kerr Inkson is a Scottish academic who emigrated to New Zealand when young. His field is organizational behavior, including research on work motivation and careers. In a 55-year career he has served seven universities, five of them in New Zealand, including 25 years at The University of Auckland, where he is now an Emeritus Professor. Recently he has focused on book writing, always with co-authors who know more about the topic than he does, the most recent of his 20 books being Managing Expatriates, with Yvonne McNulty; Understanding Careers, with Nicky Dries and John Arnold; and Cultural Intelligence (3rd edition), with David C Thomas. Kerr's retirement hobbies are amateur dramatics, writing (including plays) and golf. His favorite radio and TV humor tends to British anarchic (The Goon Show, Monty Python, Fawlty Towers), improvisational (Whose Line is It Anyway?, Qi) and American-satirical (Stephen Colbert, John Oliver). He dislikes stand-up comedy, except for that of his compatriot, the incomparable Billy Connolly.